The event series will begin with the annual Spaceport America Open House on October 1, 2016. The Spaceport America Crew along with Virgin Galactic and other Spaceport customers are scheduled to be there to interact with visitors and share their knowledge of what it takes to run a commercial spaceport and commercial space. Free to the public, registration opens September 1, 2016. The Spaceport America Drone Summit, November 11-13, 2016 will welcome drone pilots, speakers, vendors and spectators to three action-packed days of drone racing, drone workshops, fixed-wing demonstrations, drone cinematography and more. Sanctioned by the AMA – Academy of Model Aeronautics and supported by the New Mexico Filmmakers Give Back, the Spaceport America Drone Summit, will be a can’t-miss event for drone enthusiasts and spectators alike. Sign up on the splash page for the latest updates. 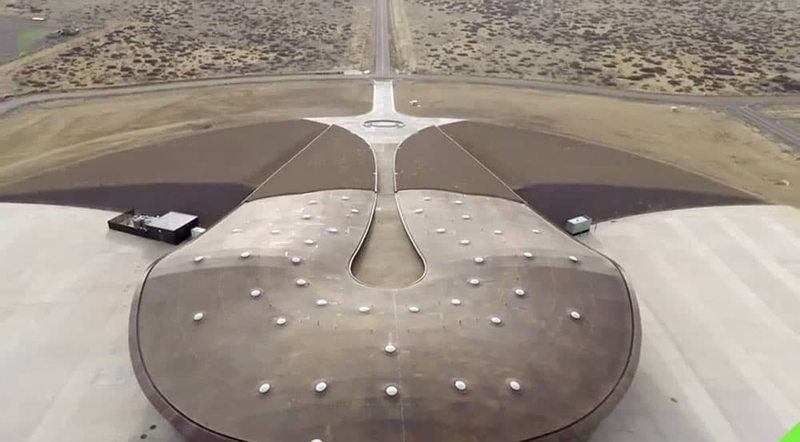 Spaceport America’s two mile long spaceway is a racer’s dream. MKM Racing Promotions LLC and the Spaceport America Crew will host and support the Spaceport America Mile, a standing one mile vehicle racing event to be held from March 10-12, 2017. Racers, volunteers, sponsors and spectators will want to sign up on the splash page for the latest developments. Next Spring will bring the Spaceport America Relay Race along the historic El Camino Real de Tierra Adentro trail from April 8-9, 2017. Starting at the Bridge of the Americas (El Paso-Ciudad Juárez) with the finish line at Spaceport America, MH Enterprises LLC and the Spaceport America Crew will host and support this two-day 200 mile event. Runners, sponsors, volunteers and spectators can sign up on the splash page for updates. The annual Spaceport America signature event series will culminate with the Spaceport America Cup to be held June 13-18, 2017. The Experimental Sounding Rocket Association and the Spaceport America Crew will host and support the world’s largest University rocket engineering competition on the vertical and horizontal launch campuses at Spaceport America. Teams, judges, sponsors, and spectators are encouraged to sign up on the splash page to stay informed.